← Tuscobia Winter Ultra 2013 – Registration is open! Order your own Tuscobia Winter Ultra Stormy Kromer cap! The “Friends of Tuscobia Ultras” is a group of volunteers based in Park Falls. The group is led by Mike and Gail Boushon and Greg Broome (from the CCC). 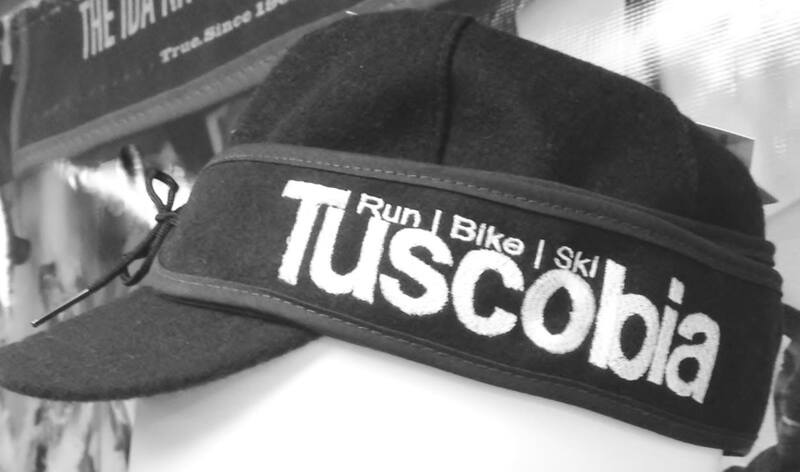 They have organized the design and pre-order of the legendary Stormy Kromer hats, customized for the Tuscobia Winter Ultra. Orders are due before November 15th, and will be available for pick at the Tuscobia races. Caps will be black with white embroidery. Cost is $35, payable with your order. To find your size, measure around the largest part of your head, above the eyebrows, with a tape measure, then find your size on the chart below. If you are between sizes, always round up to the nearest eighth. You can tighten your cap’s fit further by adjusting the tie in front. A sample cap is available at the CCC, as well as a tape measure to determine your cap size.